Under Oregon’s current land use goal of preserving farmland, solar power facilities can be no larger than 12 acres without an exception. Clackamas hearings officer Fred Wilson granted the exemption citing beehives and use of the area under the panels for forage. A non-profit farmland conservation group, 1,000 Friends of Oregon, challenged the Clackamas County conditional use permit. The Oregon Farm Bureau too apparently had an issue with the proposal, although it is not clear if they have contacted the Oregon State Beekeepers, a long-time Farm Bureau member. Mary Anne Cooper, public policy counsel for the Farm Bureau contested the project before the Oregon Board of Agriculture during a June 7 meeting in Hood River. A broad resolution that “supports a better definition of highly productive farmland” calling for stronger land use protections for farmland when siting solar projects and other energy facilities was unanimously approved by the Board of Agriculture. Yamhill County prohibits such facilities on top soil classes while Marion County has excluded them from “exclusive farm use” zones. Recently a Yamhill 12 acre array proposal was denied based on neighboring vineyard opposition. 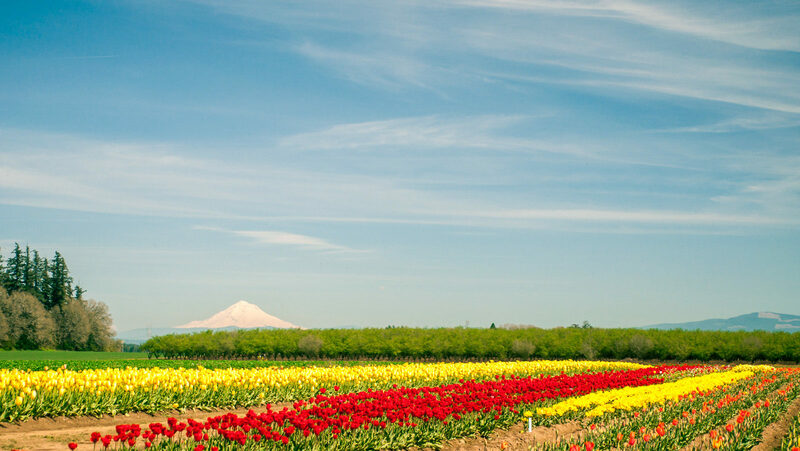 A different proposal (not including bees or pollinators) for an 80 acre solar project near Medford, approved by Jackson County as an exemption to the 12 acre limitation, was struck down by the Oregon Court of Appeals (on some technicalities). The issue will go to the Oregon Supreme Court this next May. John says there are other projects of solar and bees in Southern Oregon being developed. A project in Vermont has called their combining solar array panels and planting for pollinators a success. 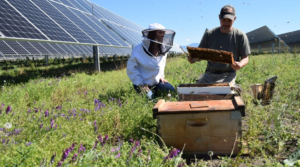 https://www.rutlandherald.com/opinion/perspective/planting-for-pollinators-at-solar-arrays-a-success-story/article_95dbb728-d38e-58cd-9b87-6aa10add1bf7.html A survey of pollinator population at an early demonstration project in Middlebury resulted in an increase of greater than five-fold in unique pollinator populations in just one year.